PDF is a very popular format for static document that doesn’t require changes. 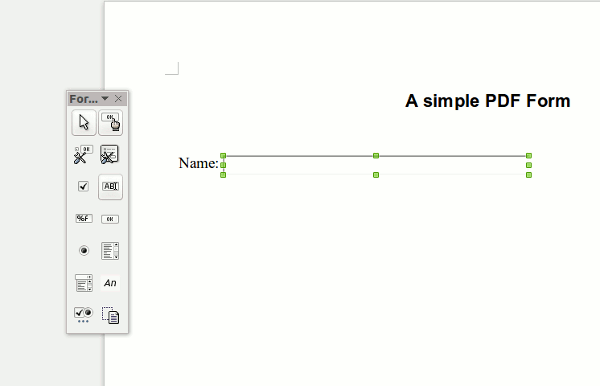 You may also have seen PDF files that come with form that you can fill in. 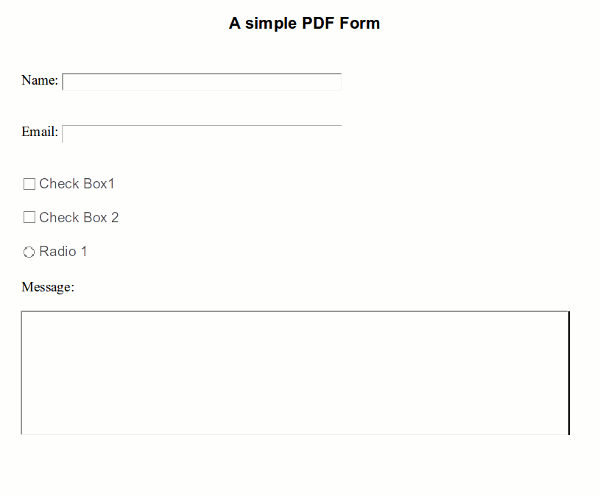 In case you are wondering how you can create a PDF file with fillable form, here is one easy way you can do so, and it is free of charge. 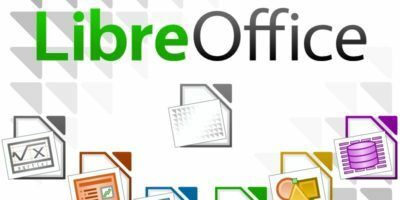 The tool that we are using to create PDF with fillable form is LibreOffice, specifically Libre Writer – the document editing tool of the LibreOffice suite. 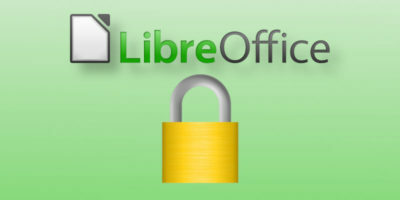 Assuming that LibreOffice is already installed in your PC (it is pre-installed in most Linux distro, and for other OS, you can download it here). 1. Open Libre Writer and create your document. 2. On the toolbar, go to “View -> Toolbar -> Form Control” and click it. 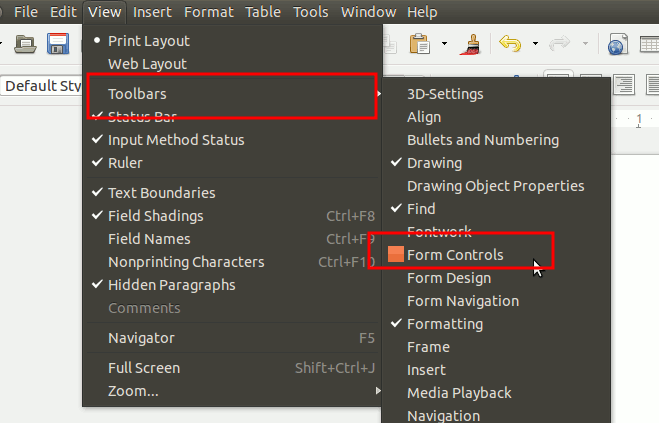 This will add the Form Control toolbar to your Libre Writer interface. 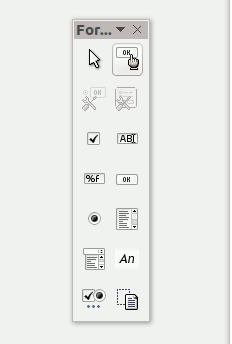 This toolbar allows you to drag and drop the various form fields to the document. 3. Now, drag the “Text box” to the document. You can size it to be an one-line input field or a multi-lines text box. 4. Next, right click at the text box and select “Control” (or you can simply double click on the text box). This will bring up the Control window. This is where you can edit the meta-data of the text box, such as its name, label field, max length etc. You can also add events such as changing text on mouseover, focus, keypressed etc. Once you have got the hang of it, you can proceed to add various form fields to your document. This is a simple form we have created. 5. After you have finished with the document, go to “File -> Export as PDF”. Make sure the “Create PDF Form” checkbox is selected. The most commonly used format for data submission is FDF, but you can select PDF, HTML or XML format as well. Click “Export” and you are done creating the PDF form. 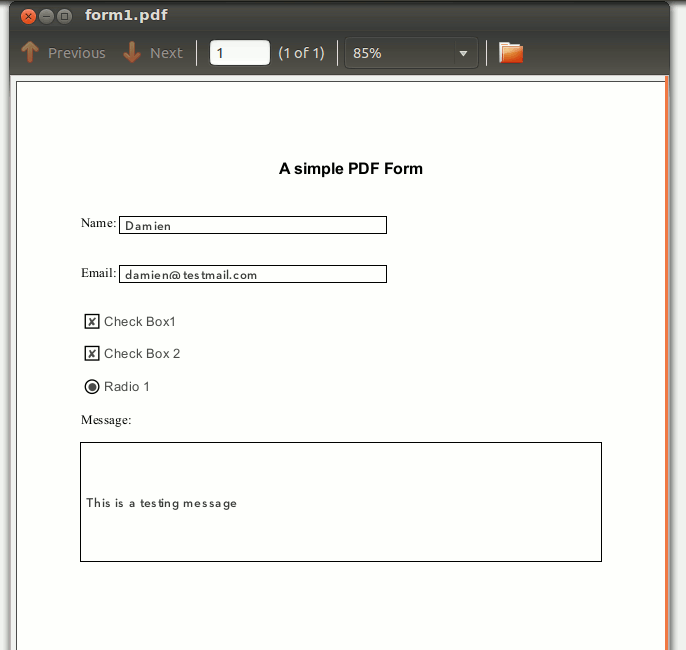 Now open the PDF file in your PDF viewer and you should see all the form fields in the document. To test it, you can fill up the form and save it. Close and reopen it again. You should see your form data intact. Excellent article! I was going to invest in PDF software for exactly this reason: now I KNOW I don’t need to. Thanks, MTE!! How does one save the data, which accumulates into a database, and leaves the form blank? Lovely article! Thank you! I just have one problem… I have followed the instructions to the ‘T’ (and reviewed them to make sure I didn’t miss anything), but when I open the PDF in Adobe Reader X and make changes to the Text Boxes and Check Boxes… I can only “Save As… PDF”. The result is a copy of the original document with no new data that I added. First question: Why can’t I “Save” instead of “Save As…”? Second question: Even with the “Save As…” option, why doesn’t it save the new data? I created some pdf forms using this process and they work, but not for people on Macs. Does anyone know how to fix that problem? I created the form. I don’t have a Mac to test on, but it’s my understanding that the individual was using Acrobat and after saving the form and reopening it, all the data she entered disappeared. So it was fillable but not savable, even tho it “seemed” to save. She had to reenter all the info, print the form and then scan it to email it. Adobe Reader has introduced a more convoluted and confusing system of add-on services that includes a signing and uploading to Adobe’s servers. To simply save an updated form do the following steps: In the toolbar click on Sign. A menu will appear to the right of the document. Click “Done Signing”. A pop up window “Done Signing” may appear, here click confirm. A “Save As” dialogue window will appear, change folder or file name if needed and click Save. A pop up window “Deliver Your Signed Document” will appear, here click “Not Now”. I think the problem lies with Adobe Acrobat. It has a more stringent requirement than most PDF reader. Can the user use another PDF reader, like Preview? What about using FoxReader? I think that might work. to Douglas Jenkins: I use google drive forms for seminar applications. I just send a link to the applicants or post one on our fb groups wall, they fill in the form and google drive extracts data out of their forms into an exportable spreadsheet. I find it very usefull. I created a fillable pdf form just as you instructed. I have Okular as pdf in opensuse (os). But when I enter any information, it doubles itself(in same text box it gets repeated over the original text) when I click on Hide forms button (on Okular) the repeated (double) text disappears and everything is fine then. But why does the text repeat itself when I am entering the data….